Please refer to the picture and select right type of bearings before your order (Sealed or Shield on BOTH or SINGLE side of the bearing). Suffix on the bearing just for differentiating between Sealed and Shield type of bearing. It would not affect the use of our product. 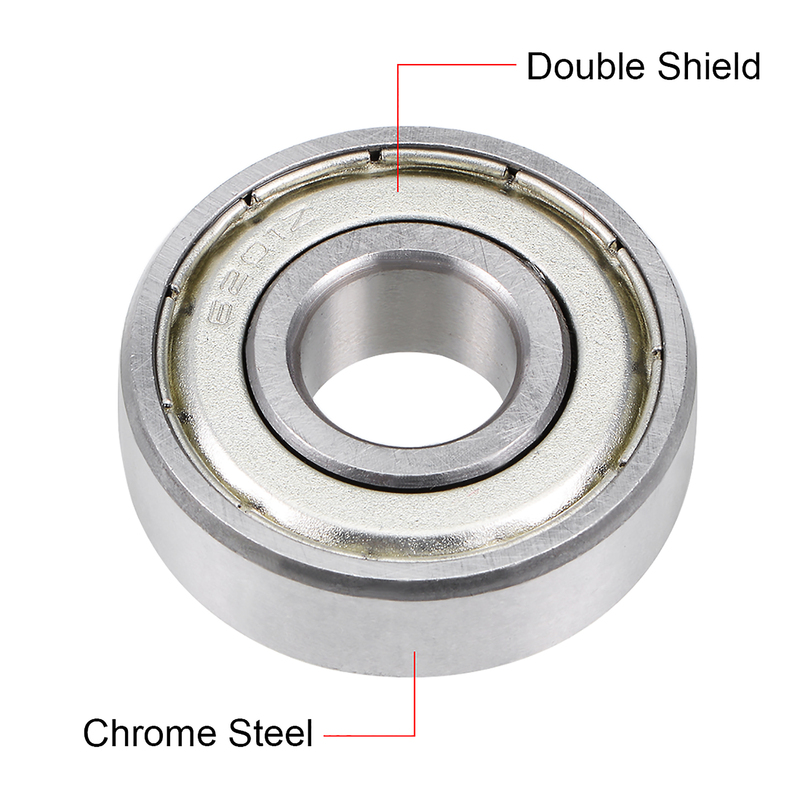 Deep Groove Ball Bearings are one of the most widely used rolling bearings. They are used to accommodate radial and axial loads in both directions. With small friction and high-limit speed, Ball Bearings are cost-effective and require little maintenance. Chromium Steel (GCr15) made with heat treating, provides high and uniform hardness, good wear resistance, and high contact fatigue performance. Suitable for all kinds of industrial equipment, micro motor, small rotary motor, office equipment and so on. Shields (Designation Suffix Z/ZZ) - High speed. Protect from dirt and debris. Sealed (Designation SuffixRS/2RS) - Made of sheet steel reinforced NBR (oil- and liquid-resistant). Lower limit speed than Shield Bearings.